This financial mismangement is a growing problem in our society among the younger generation. Reports have concluded that 15% of those enrolled for debt management and 50% of credit card holders who were declared bankrupt were below 30 years old (Ng, 2009; The Star, 2010). If your child does not receive proper financial education then they may also develope these unhealthy habits. 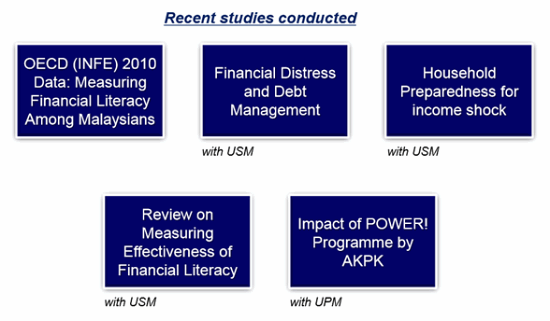 Above studies reported that Malaysian Education System needs to be intensified and should focus more on the financial literacy of the younger generation but till now, neither schools nor universities provide any proper financial literacy program and courses. Do you know that 2 out of 3 households are poorly prepared for the financial income shock with a saving of less than 3 months? Moreover, ease in access to financial loan such as PTPTN are reporting deficits up to RM7 billion due to low rate of loan repayment. In 2011, it was reported that 132,801 borrowers of PTPTN have been blacklisted. These few statistics are heart trumbling and it is scary to imagine where our future generation, in fact your own child could be heading towards. If education sectors are not working towards their financial literacy then I believe that we should take this responsibility upon ourselves and get them the education that they deserve from other sources. 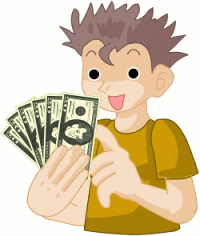 Money skills are one of the most important life skills that every youth should be armed with. Studies show that parents play a more important role in imparting this education than the teachers. Start them young. You don’t teach them how to brush teeth at the age of 18, do you? Remember that old saying about teaching a man to fish and feeding him for a lifetime versus giving him a fish to feed him for a day. There are courses that can make your child better at managing their own finances that can help them achieve many accomplishments in the future. If you are interested to learn more about how you can provide your child with great and reliable financial education, then join this FREE webinar. If you deprive your children the education they deserve, ignorance will grow like a cancer.